Today’s post is dedicated to my dear friend Laural, one of my best taste testers for this blog. Beans are sacred for Brazilians. In Brazil we eat beans at least once a day, sometimes more. 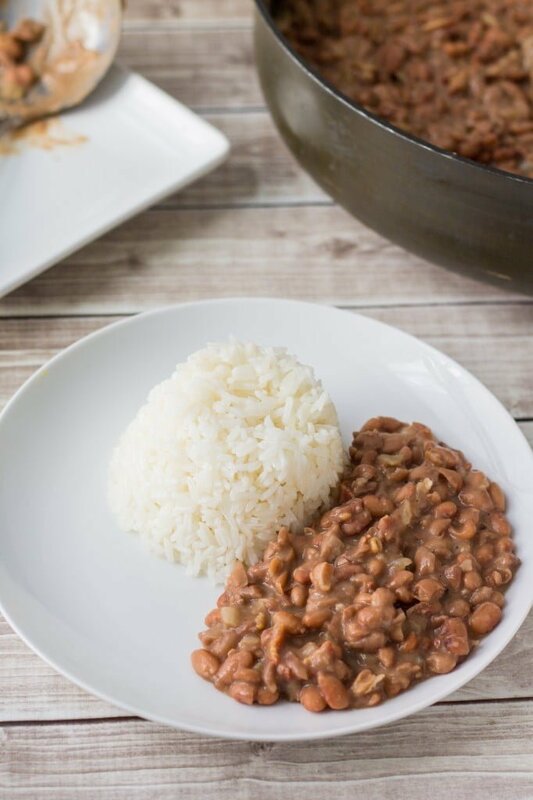 A typical lunch consists of rice, beans (we usually use carioca beans, but you’d also see other kinds of beans, like black beans for example), beef or chicken, salad and fries. I know you’re probably thinking: “Triple starch!!! What a heresy!” You can judge us, I don’t care! It’s delicious! Carbs are my friend! So, since we eat a lot of beans, imagine if we hadn’t figured out a way to eliminate the bean’s gases. No fun, huh? Thankfully, we have a trick that will change your life (and your digestion) forever. The trick is: the night before you plan to serve beans, wash them really well (having already picked through and discarded the damaged beans and stones. This is important!) until the water coming out is translucent. Then boil some water (enough to cover the beans) and soak over night. The washing plus soaking helps to eliminate the starch, which is the main reason for gas production. 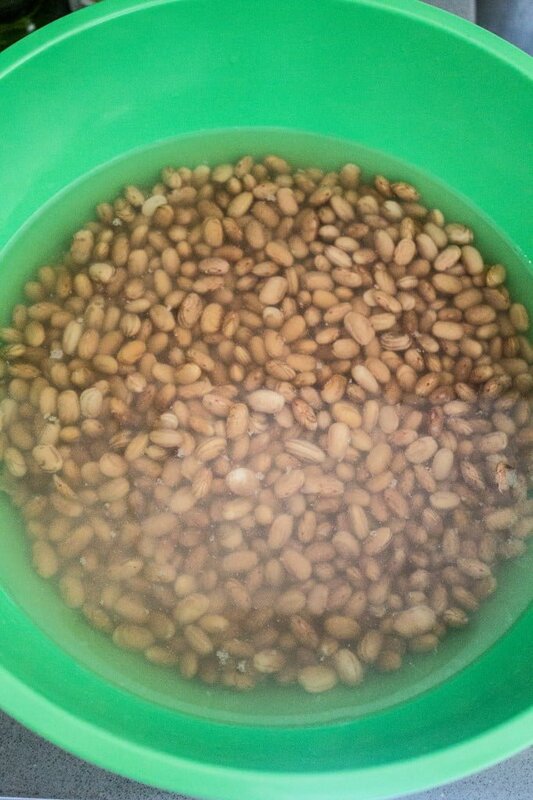 The picture above was taken the morning after soaking the beans overnight. Do you see how the water is “blurred’? That’s the starch! And sometimes you can see some gases floating in there as well! Drain the beans and rinse them one more time. If you want, you could soak them again for a few more hours if you’re not ready to cook them. To cook the beans, I use a pressure cooker. Every Brazilian owns a pressure cooker, mostly because we are lazy and don’t wanna stay all day in the kitchen. So if you are like me, go buy one now! :) If you don’t wanna go buy one (Why?!? 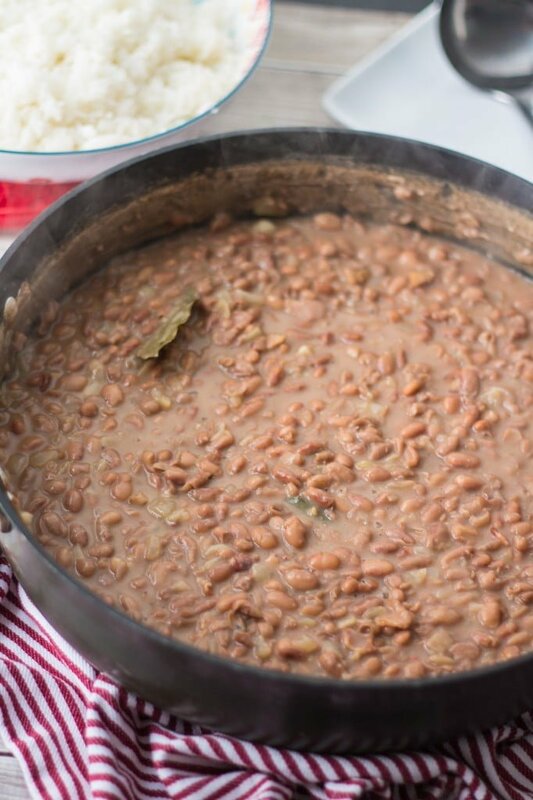 ), you can totally cook the beans in a regular pot but it will take you 1.5 to 2 hours. In the pressure cooker, add the beans (2 cups), 2 bay leaves and 8 cups of water. Let it cook over high heat until the pressure cooker starts “singing”, then lower the heat to medium. It should take 30 minutes for the beans to be cooked and al dente. Just turn the heat off, wait for the pressure to come out, then open and check on them. If they are not ready yet, keep cooking in increments of 15 minutes until they are tender. Now that the beans are cooked, the fun begins! You can pretty much put whatever you want in your beans. People put sausage, pork, tofu, etc. I put bacon! I think the bacon adds flavor to the beans without overpowering the dish, because it’s a side dish after all. If I’m eating it as a main dish, then I might add some sausage. There’s also feijoada, which is a black bean stew cooked with all kinds of pork meat, but I’ll leave that for another post. So, in a large skillet, add the chopped bacon and let it fry in its own fat. 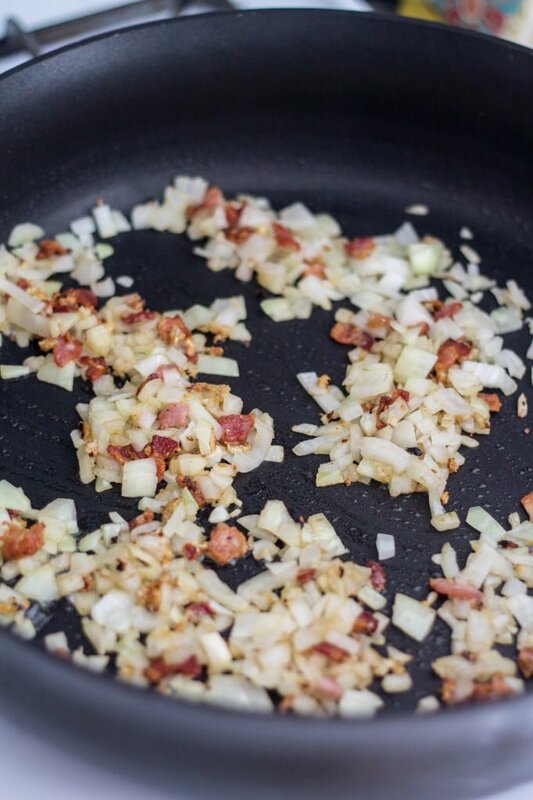 Once the bacon is golden, add the garlic and the onion and sauté until translucent. If it’s too dry, you can add some olive oil. Take a ladle of beans (just beans without broth) and add it to the bacon/garlic/onion mixture. Cook it for a minute or so and, with the back of a wooden spoon, mash the beans a bit until they get kinda thick. 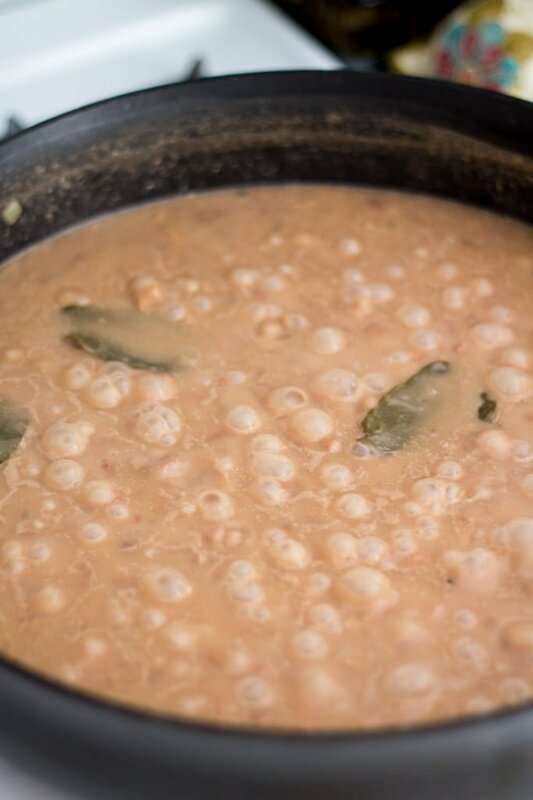 The mashed beans will help thicken your beans and they will be absolutely amazing! So don’t skip this step!!! Now you can either transfer this mixture to the rest of the beans or transfer the rest of the beans to this mixture. I chose to add the beans to the skillet, because my skillet was big enough. But either way would work! Let the beans cook (over medium-low heat) until they thicken to the desired consistency. That should take anywhere from 10 to 20 minutes. Season with salt, discard the bay leaves and serve with rice. You can cook your beans ahead, freeze them and do the whole seasoning part (bacon, garlic, onions, etc) whenever you’re ready to serve them. If I would be an organized person, I would always have beans in my freezer. 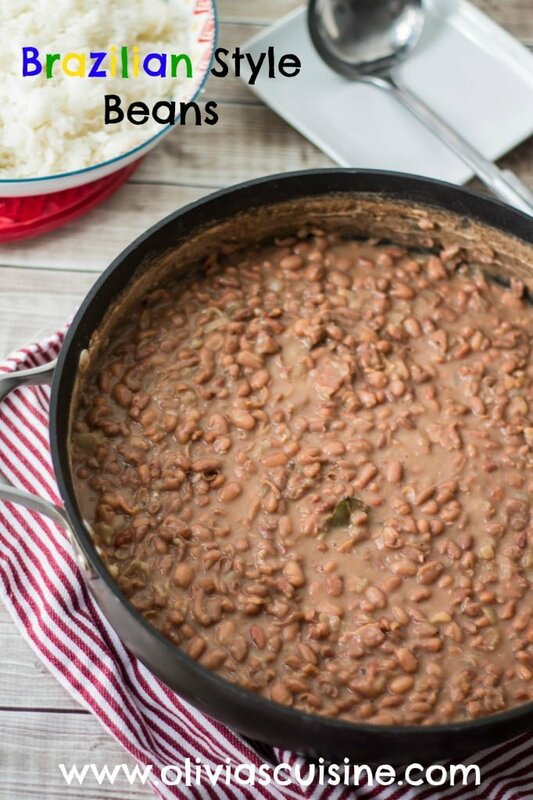 Because beans are delicious, they are good for you and they make any meal better. There’s seriously nothing better than a plate with freshly cooked rice and beans. And your house/apartment will smell amazing! Pick through the beans, discarding the damaged ones and any stones you may find. Wash the beans several times, until the water coming out of the beans is translucent. Boil enough water to cover the beans and soak the beans overnight. The next day, drain the beans and discard the water. In a pressure cooker, add the beans, the bay leaves and 8 cups of water. Cook over high heat until the pressure builds up. Lower the heat to medium and cook for 30 minutes or until the beans are tender and al dente but not falling apart. If the beans are not ready, continue cooking in increments of 15 minutes, until they are soft. 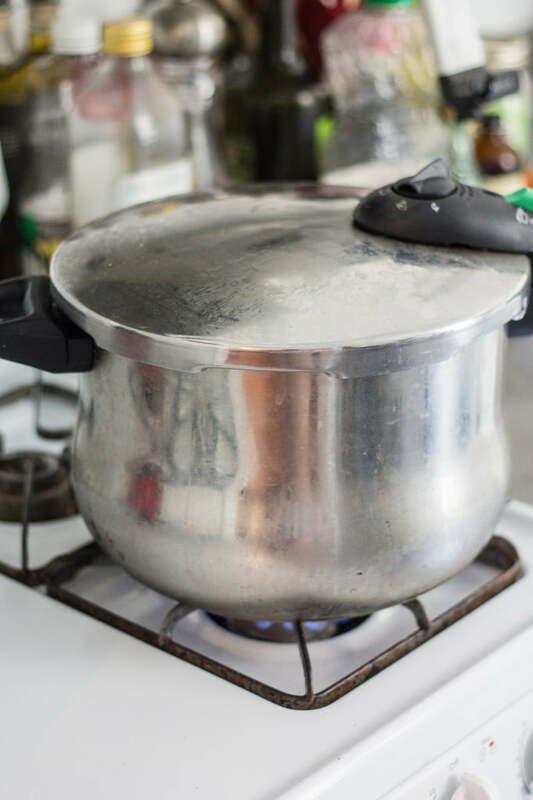 If cooking in a regular pot, add the beans and 8 cups of water and cook over high heat until the water boils. Lower the heat to low and simmer for 1.5 to 2 hours, covered, until the beans are tender and al dente. 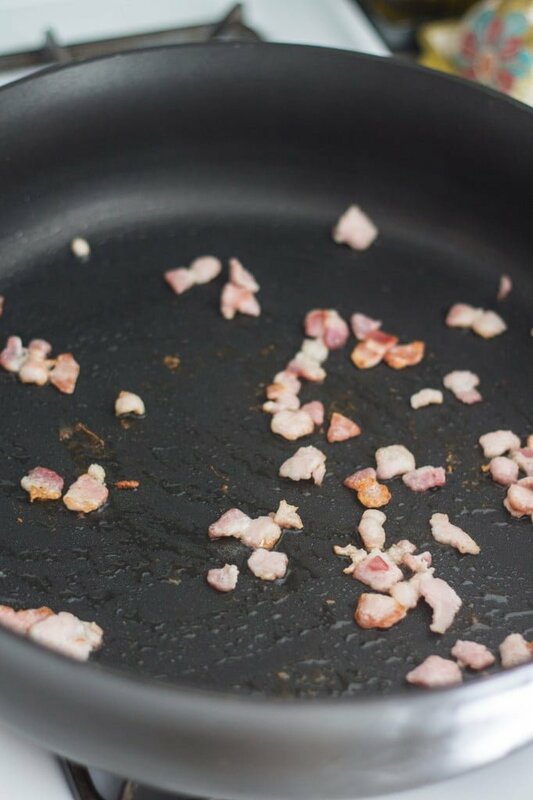 In a large skillet, add the bacon and let it cook in its own fat. Add the garlic and onion and sauté with the bacon until translucent. Add a ladle of beans (just grains, no broth) to the skillet and let it cook for a minute or so. With the back of a wooden spoon, mash the beans until you have almost like a paste consistency. Add the rest of the beans (with broth) to the skillet, lower the heat to medium-low and cook until the broth thickens. That should take 10 to 20 minutes. If freezing, freeze after cooking in the pressure cooker and season on the day you plan on serving. There’s nothing like brazilian beans! :) In São Paulo we keep it simple. The secret is lots of garlic! :) I don’t mind spices as long as it doesn’t taste like mexican beans. The other day we went to a restaurant here in NY that claimed they had feijoada. The “feijoada” turned out to be mexican beans with brown rice. Like, seriously? lol Anyway, can’t wait for you to post your recipe so I can try that too! I love brazilian beans but have never known how to make them before! Thanks for the recipe.. it’s definitely one that I will be making in my kitchen. Thank you :) Let me know what you think!! I bought some “feijao catarino” dried beans when I was in Portugal to make the rice and beans like they serve in Brazil but I didn’t understand where it said on the packaging to soak overnight. I only soaked them for 3 hours and then I have put then into the slow cooker on high for 6 hours – is it safe to eat them or should I discard. I’ve never had Brazilian beans, but these definitely make me want to try them. Great recipe! I have family from Brazil so I grew up with rice and beans!! :) Yummiest food on the planet! We usually prefer using the black beans and then I cook bacon like you do and then add fresh minced garlic and some of those little hot Brazilian bode peppers! :) I do garlic and the peppers (left whole) in my rice too. But my FAVORITE FAVORITE Brazilian side dish is the spaghetti that they call macarrao! Maybe I’ll try adding the onion to my beans next time? I’m really happy to find this recipe. One of our 2017 goals is to eat more of the rice and beans we used to enjoy in Brazil. We lived in Maringa-PR for about 3 years and my husband still talks about the beans he would have for lunch every day. I’ve never been able to get it right so I’m definitely trying this recipe! 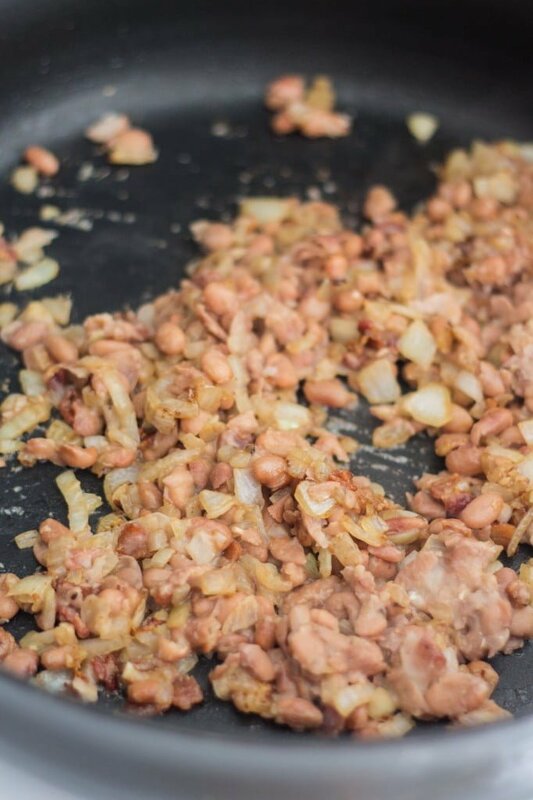 Until this dish, I never knew beans could be the star of the show. We made this last week because it looked easy and interesting. We liked it so much, we made it again this week just for us and again for a dinner party last night. Each time, we added extra garlic . Every time, it’s been a crowd pleaser.